CODE: FS 802E C3 RIVER. 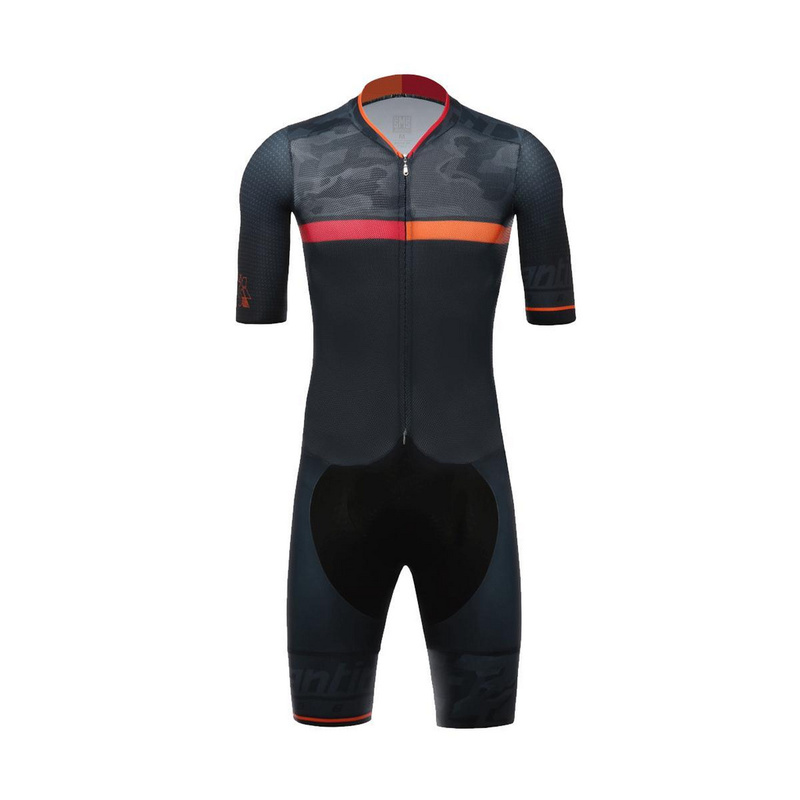 Fit – Created in collaboration with the National Slovakia road cycling team, this road speedsuit is an exact replica of the one worn by Peter Sagan at the UCI World Championships in Doha. The back, in Lycra Monica, ensures maximum adherence to your body. At the bottom of the leg, the band with inner anti-slip grip ensures a snug fit to the body, keeping the garment in position at all times. Performance – It finds the best compromise between aerodynamics and comfort. 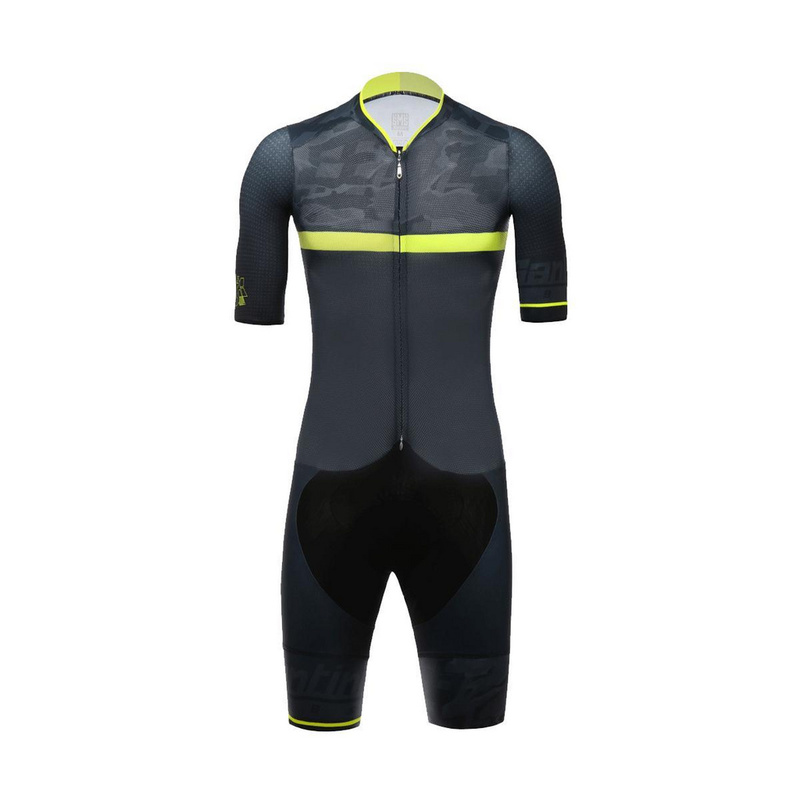 Uses aero fabrics on the parts more exposed to the wind, such as the SwanWarp fabric on the sleeves, to maximise airflow, and extremely breathable and light fabrics – such as Spider 700 mesh fabric on the front where ventilation and comfort is needed. Comes with invisible triple back pockets designed for minimum air resistance – making this speedsuit a great alternative to the standard two-piece for aero advantages in road races. Comfort – Shorts have been structured around the C3 chamois – our most innovative chamois ever – made using a revolutionary new technique that requires no seams or glue. 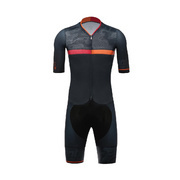 Front panel features a soft shell that will give you maximum shock protection and unprecedented breathability. Vergelle fabric inserts around the chamois keep the saddle area stable, ensuring incredible comfort and preventing slipping on the saddle while pedalling. Closes with a double opening zipper. Durability – Genuine made in Italy garment, created by our highly skilled production staff and in collaboration with our sponsored pro-athletes. Roadtested by some of the best riders in the World.